This is another reason why we included Fournoi in the Second Edition of our Guidebook. The neighboring archipelago to Ikaria is a wealth of nature and history, both above sea level and below! The walking route we mapped out gives the best views over Fournoi’s dazzling seas and its surrounding islands and islets. Read this full article here: https://eandt.theiet.org/content/articles/2018/07/the-underwater-archaeology-of-fourni-greece-s-shipwreck-capital-of-the-world. This video doesn’t need any words…the forest speaks for itself! A walk in our Guidebook will take you through Ikaria’s enchanted oak forest. 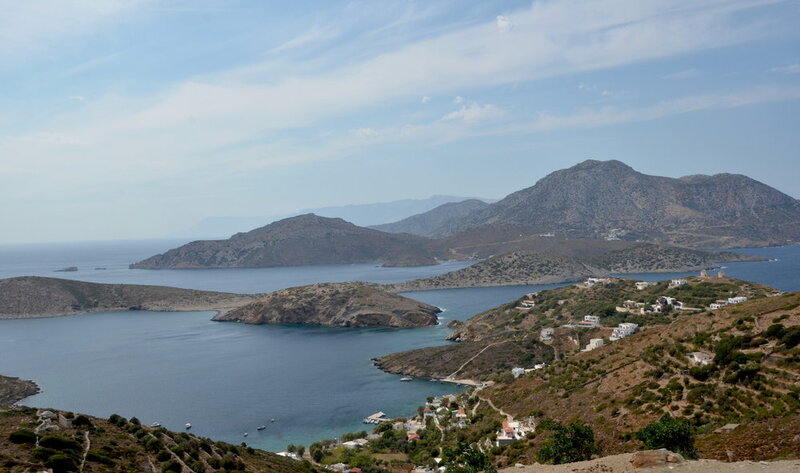 The Pezi Plateau is one of my favorite places to explore on Ikaria. From this short video you’ll see why. This September, while we re walked the footpath leading to Selini Pool, Lefteris took out his drone and we had a little fun!